Responsive web development has been made faster and easier, thanks to the intuitive mobile framework, Bootstrap. Bootstrap comes in different editors/builders, though all the editors have a common drag-drop function for easy accessibility of the frameworks' library. 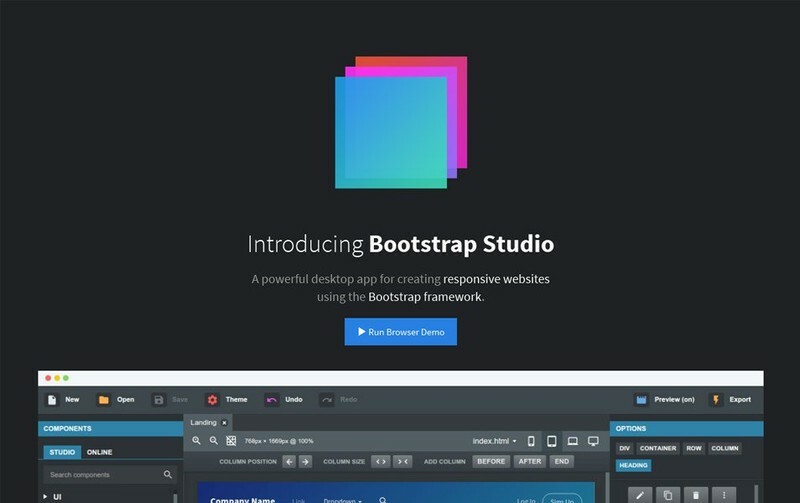 Here is a glimpse of the top five Bootstrap builders and editors that are in high demand on the market. 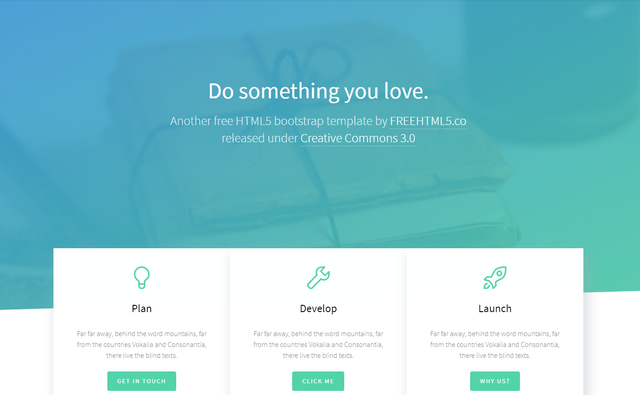 This is a popular Bootstrap platform, and it is free to use. Alternatively, you can choose the premium version that costs $4 a month for downloading the source code. Furthermore, web developers can enjoy access to a large code repository on Bootply. This editor also allows the developer to drag and drop the Bootstrap elements, then edit the code according to their preference. The editor has been integrated with other frameworks, micro-libraries, as well as top Bootstrap plugins. Various tools are available for the web developers to utilize, such as jQuery UI, Font Awesome, Bootstrap Select, Google Maps, Angular JS, Fuel UX, among others. The functionality and layout of this editor make it a top choice for many web developers. Brix.io allows the developer to build responsive websites and interfaces in the shortest time possible. It costs between $14.90 and $49.90 a month. With this Bootstrap editor, developers can build well organized, smooth, and easily readable CSS, JS, and HTML for use with any editor or web hosting service. In addition, the developer can create projects at the same time with their team members, regardless of their location. With the simultaneous commenting and editing, Brix.io facilitates collaboration in the web development projects. Why dig through docs every time you use an editor whenever you want to build? Just use Jetstrap. It does precisely that; all you have to do is grab clean markup snippets, and you can access work from anywhere. Jetstrap is a web-based interface-building tool for Bootstrap that makes web developing and designing fast and easy. Developers can access their Jetstrap using any device and from anywhere. It also incorporates the Bootstrap component's drag and drop feature into the builder, which then allows you to customize the codes as you wish, according to your program needs. The editor is available from $16 to $99 a month. Mobirise Bootstrap Builder is one of the easiest bootstrap editors available on the web and mostly focused to novice bootstrap programmers or even for non-coders. 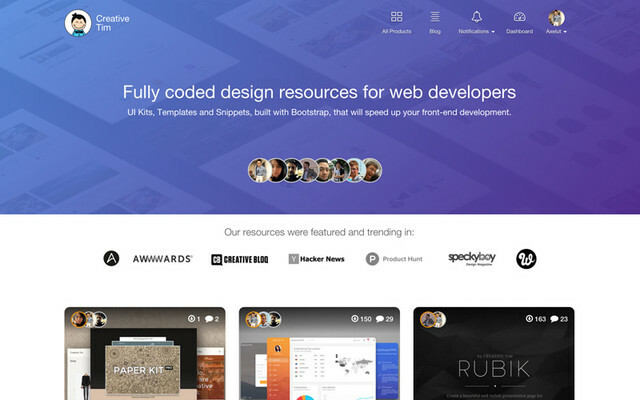 It's an offline app for Mac and Windows for almost instant creation of mobile-friendly web pages. Mobirise Bootstrap Builder has intuitive drag-n-drop interface with no learning curve involved, huge collection of predefined blocks and extensions, solid supporting community. This editor is free for any use. This one is a visual desktop app, which lets developers design Bootstrap-based responsive web pages. It is free to use and works just like most Bootstrap editors. Content can easily be added from the vast Bootstrap elements library. With Pingendo, the developer can choose to commence the project with a blank page, or select a predesigned layout from the collection. All other functions entail re-sizing, drag dropping, and customizing the content to suit your preferences. Each of the Bootstrap builders comes with a specific set of features and pricing. Some are free, but they have a premium option for further accessibility and functionality. It is recommended to understand how the editor works and relate it to your needs. Choose the editor according to the website needs and requirements. 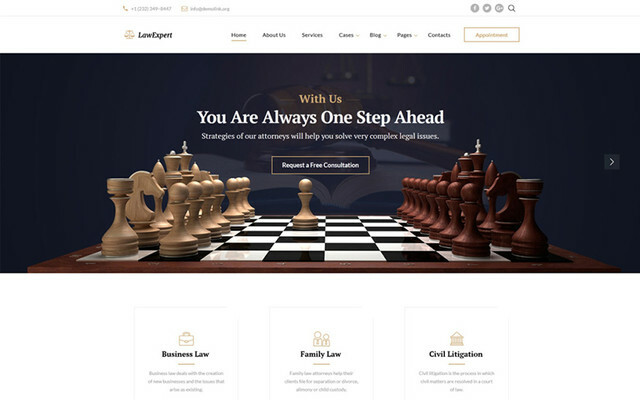 Why use a Bootstrap Template?? Website design can be an overwhelming task for technical and non-technical people alike. When you take a minute, and think about what makes up a website, you may become even more stressed about the undertaking. The Bootstrap framework is a great starting point for most websites and can save countless hours and expense into creating a site of your dreams. Using a template is a moneysaver! The age old phrase “why reinvent the wheel when you can just perfect it” is applicable in the web design community. Why create a site from scratch when you can find a structurally sound framework from a Bootstrap template and save yourself the time, effort and money. There are thousands of free bootstrap templates available on the internet and many that are found here at bootstrapzero.com that could fit your needs along with many premium templates that provide even more features, textures and perhaps a better user experience. These templates offer a variety of savings to site developers and businesses highlighted below. React - Now an MIT license! In dramatic fashion, Facebook has freed its React (reactJS) library and its GraphQL library from its once unfriendly and unloved model and is not licensed under the MIT license model. This in essence allows for future progress of the tools along with allowing developers to to use these libraries to better their products without violating their license agreement with the library. But some may ask, what does this mean for me? You have a site or product you’ve been working on that solves a business problem for your organization and you want to offer it to others. You want to bundle it into a Software as a Service (SaaS) package but you’re stuck on what data you should care about? This is a common struggling point for a lot of great products and developers. These Key Performance Indicators (KPI) data points can be critically important to the success or failure of a product because of time inefficiencies created when data isn’t tracked properly. Considering a Subscription Model? What model fits your product? Like every software on the internet these days, Software as a Service is the model of choice for product owners and for most consumers for a variety of reasons. The big question that developers and product owners struggle with is the model that will fit their product or business. Sure you can say you’re licensing your product via a SaaS model, but what does that really mean? 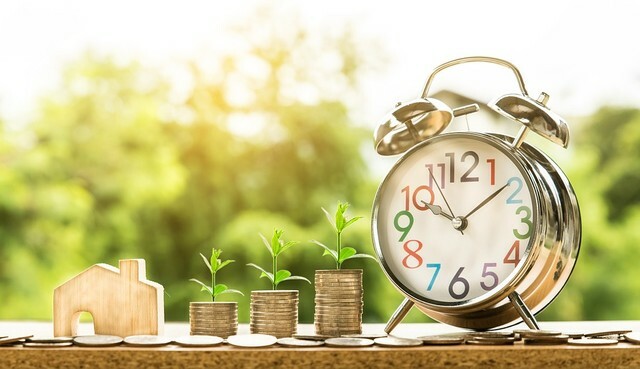 Are you tiering your product? Are you charging by the user? What makes sense for your product may not make sense for other products and vise versa. 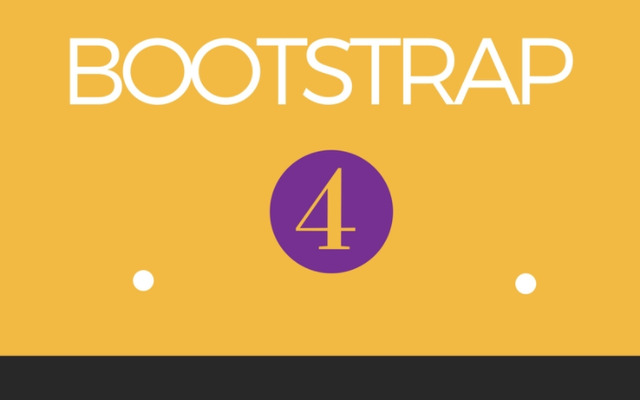 Bootstrap 4 Framework - What you need to know! With the release of Bootstrap 4, here is a great guide about new and exciting features. 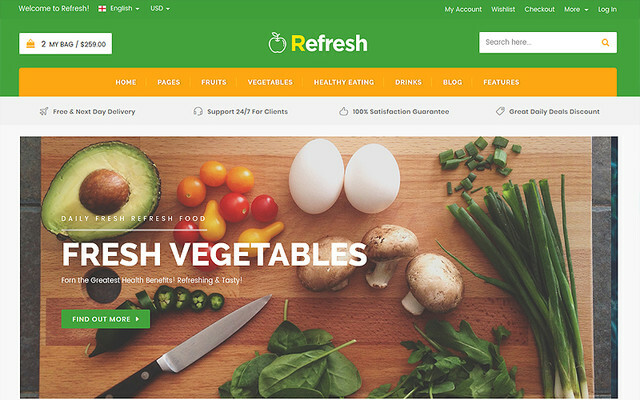 The present-day web delivers an impressive choice of Bootstrap website templates that are ready to be used for literally any purpose and micro-niche. There are one-page and multi-page web layouts that are suited for ant topic-specific web project of yours. The best thing about premade web theme is their mobile-friendliness, which frees you from the need to create separate mobile versions of your sites. Whether you know it or not, but Bootstrap is a win-win tool if you need to build a consistent website. To be more specific, Bootstrap beats the heck out of all front-end frameworks out there. So, if you’re thinking about starting a responsive website, the time is now. 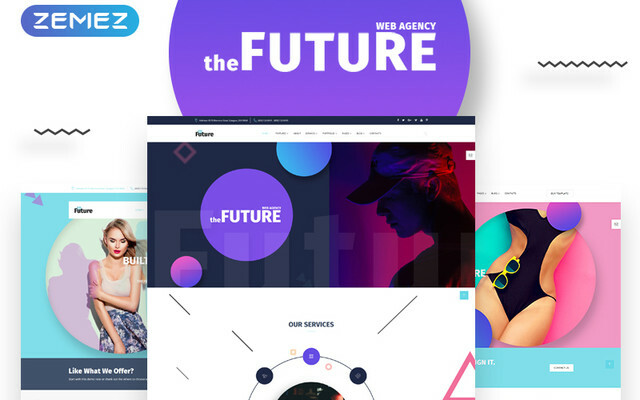 Sometimes the best way to get inspiration for your future big thing is to look at the most innovative Bootstrap templates for 2019. With the public on the move, having a responsive website is key to get a serious edge on the competition. When speaking about website development, it really matters what's going to be under the hood of your online project. Luckily, in 2019 the number of handy features, plugins, add-ons, and extensions is just limitless. Additionally, you don't have a need to buy each of them individually. There is a way to find an all-in-one feature-rich solution. And here is when multipurpose HTML templates can come in handy. As it is clear from their title, such themes can fit any purpose and be suited as a perfect basis for a website of any business niche. Do you want your website to have an impressive appearance and performance on desktop PCs? On tablet screens? On smartphones? Yes, you do. In 2019, website responsiveness is an ultimate must-have. If you don’t go for it, you’re likely to lose a portion of your potential clients. Moreover, search giants, such as Google will penalize you and tank you down on SERPs. 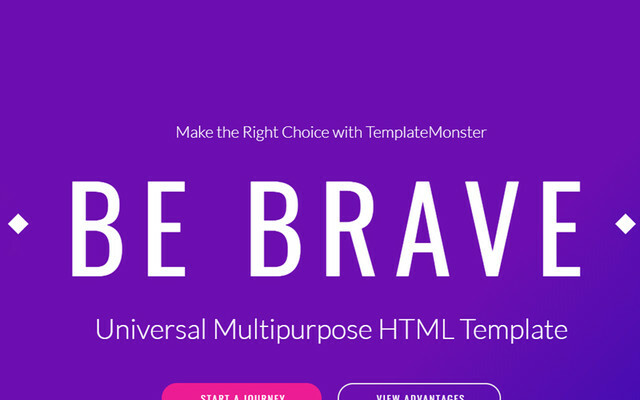 To help you end up with a website with stunning responsiveness, we bring you a collection of 15 powerful Bootstrap website templates. 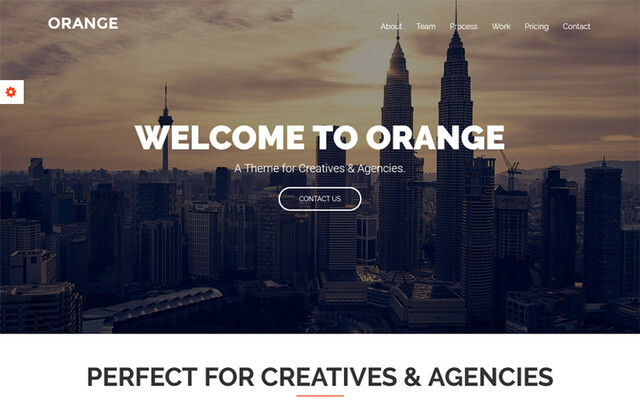 Orange - One Page Bootstrap Theme suitable for modern businesses. It is 100% responsive and looks stunning on all types of screens and devices. 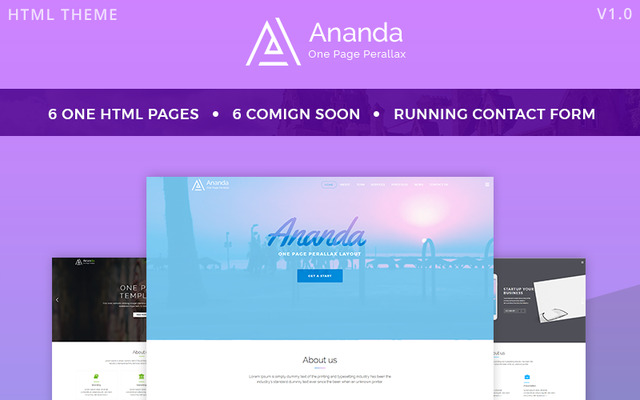 ANANDA - One Page Parallax, Latest Bootstrap, CSS3, HTML5 and Responsive Template suitable for any creative agency or business startups. 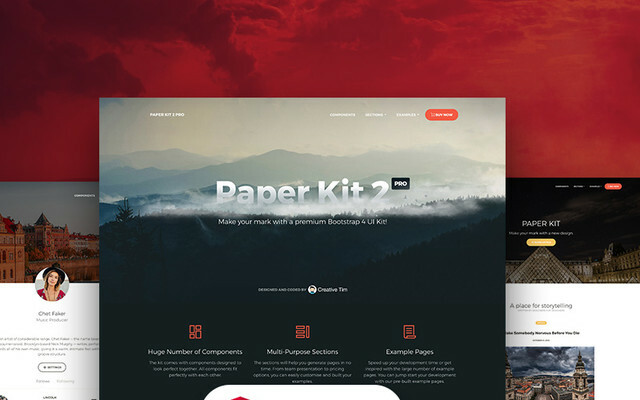 Download Paper Kit Pro Angular a Premium Bootstrap 4 UI Kit Template developed by Creative Tim. Now UI Dashboard is a responsive Bootstrap 4 kit provided for free by Invision and Creative Tim. 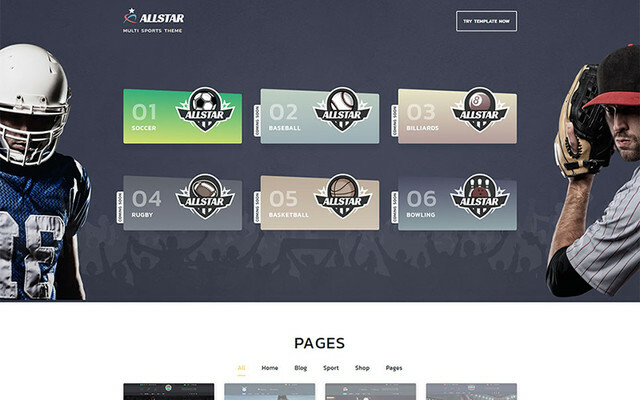 It combines colors that are easy on the eye, spacious cards, beautiful typography, and graphics. Now UI Dashboard comes packed with all plugins that you might need inside a project and documentation on how to get started. It is light and easy to use, and also very powerful. BeOnePage is a professional One-Page creative WordPress template. Perfect to promote your creative business. It is very easy to customise, being powered by the amazing Front Page Builder. This is the complete solution of building fast and efficient responsive one-page parallax websites. Stylish Portfolio is a one page Bootstrap portfolio theme with off canvas navigation and smooth scrolling through content sections.